“We were given the opportunity that would have been very difficult to get on our own” Lipi Enterprises owner Joseph Lucero thankfully testifies on how the Department of Trade and Industry helped them develop their small business to get into the mainstream market. 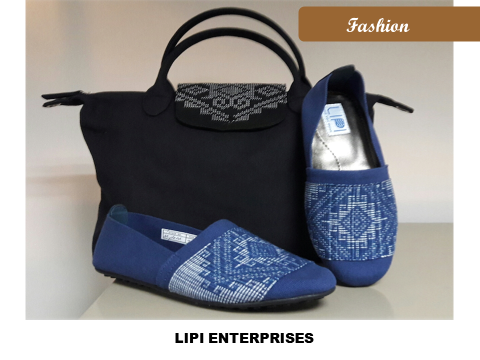 Lipi (Filipino word for tribe, group, or family) is an apparel manufacturing company established in 2014. To encourage more Filipinos to wear locally made garments, Lipi created hand-woven apparels that appealed to the taste of the Filipino millennial. This vision was a challenge as hand-woven fabrics were not only expensive; it was also uncomfortable to wear. Joseph believed otherwise saying that “creating these fabrics into comfortable and street wearable items can help local communities in our own little way”, also referring to the jobs it can provide communities. The biggest obstacle to Lipi is access to the local consumer market. Joining Sunday markets and DTI’s three-day bazaars, Joseph knew Lipi apparel has not really hit the road. Then Joseph received an invitation from DTI to join the Go Lokal! Store project, a retail concept store for quality and innovative products crafted, designed and manufactured by the country’s micro, small and medium enterprises (MSME). “They vetted us and worked with us on how we can improve our products as well as our marketing strategies,” Joseph happily added. One of President Rodrigo Duterte’s campaign promises is to make Filipino products more visible and available in malls and other retail platforms to give MSMEs access to the local consumer market. DTI’s Go Lokal! fulfills that promise.